When you’re dealing with a band whose music evolves from hours of improvisation, intuitively blending genres with no regard for boundaries, and sampling each others’ voices and instruments to feed back into the sound... it almost makes sense to dissolve the interview/gig review/album review format. When the band in question also regard their recent records as a celebration of the life of a former member, and speak of the music as "offer[ing] sanctuary... but also making us mad at the same time," suddenly the biographical angle seems to be a little more than a convenient hook (since there aren’t many lyrics to hang a story on). As you probably know, Gang Gang Dance released the critically acclaimed God’s Money in 2005. Like an ambient record played at the wrong speed, it’s detailed and varied (if you listen closely) but the immediate impression is that it’s an undulating, writhing, rainbow-snake of a thing from start to finish, with colours, sounds and beats bleeding together. You can’t go wrong with David Toop’s "Ocean of Sound" metaphor, so I’ll use that as shorthand for now, and come back to the aural psilocybin stuff later, when I’m talking about the liveshow and what it did to my neocortex, Third Eye, feet, knees, hips, and pelvis. 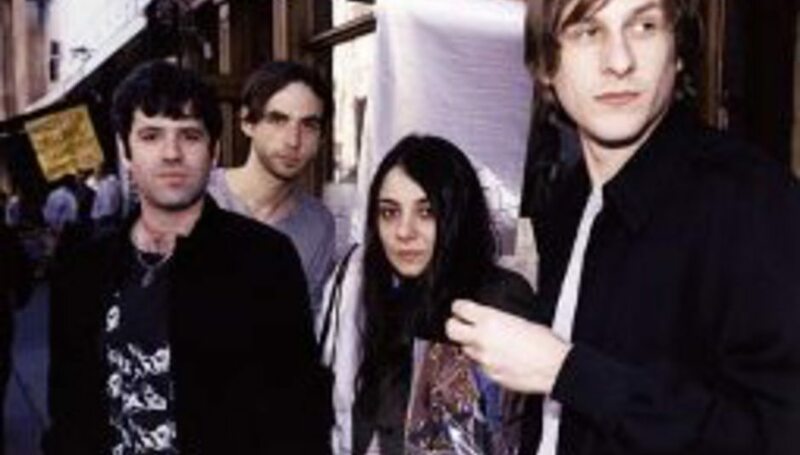 Briefly, the new album, St Dymphna (2008) has more distinct tracks – it’s not quite right to say it’s more song-based, although there are some strong singles – and yet it carries over one of the key principals that makes Gang Gang Dance so important. The totality of what made God’s Money (2005) one of the most fluid and engaging electronic/dance records since Brian Eno and David Byrne's My Life in the Bush with Ghosts (1985) is – of course – complex and subjective. Nonetheless, there’s a lack of edges around particular sounds you’d associate with a genre, cultural tradition, or specific recording – any rips in the collage – that tell you 'this has been pasted in' without any purpose to the juxtaposition. For Eno & Byrne, sonic collage was a meaningful response to globalization, and for Public Enemy, a device to suggest subversion of hegemonic cultures (and it still is) but it’s just as liable to become the default setting as any other avant-garde strategy. Gang Gang Dance just blend what they like, whether it’s traditional African music, urban music, or European pop. On the new album, 'Princes' (feat. Tynchy Stryder) doesn’t bracket the genre introduced to the mix by having a "rap-section" (like REM & KRS-One), it’s just a grime track, plain and simple. The best illustration of this, it occurs to me now, is Josh tapping a rhythm on his can to signal the start of the interview; listening back, I realize there’s a police-siren in the distance and a whoosh of traffic. DIS: St Dymphna refers to the patron saint of mental illness, possession, etc., but how much do those themes inform the record? Is spirit possession, and are related ideas like channelling, largely metaphorical for you, or do they describe the experience onstage pretty accurately? Liz: These are mostly references to Nathan [Maddox] who was in our band [but struck by lightning, some years back], so the title refers to what happened to her [St Dymphna, rather than more general ideas of what she might represent]. There are a variety of metaphors, and it describes the state of the band right now, but it’s a tangled web. Josh: The music offers sanctuary to us, and it also makes us mad at the same time… but ultimately, it’s a positive thing. Liz: It’s a way to celebrate… and to pay homage [to Nathan], as well as being about the way we work. Josh: [The title of] God’s Money is also a reference to [Nathan]. He was so generous with mone... well, money was one thing he was generous with, but he also gave food, and anything he had, he would share it. He’d say "it’s not my money, it’s God’s money." Brian: ...and, when we were finished with that record, we started finding money all over the place [Liz laughs]. No, really. All over the place. One of them was on the rooftop, where Nathan was struck by lightning. We’re talking stacks of bills, man. DIS: There goes my next question! Having studied some ethnomusicology, the title made me think of the notion that – in tribal societies – the only real property is a repertoire of songs, and anyone who accumulates assets (as in: material capital), rather than sharing it with the society, is a witch. Maybe he intuitively shared that ethos? Liz: Well, Nathan was about “no possessions”, and about compassion, and faith, and giving. [Using the phrase] God’s Money was the most real way of expressing that idea. Nathan was [something of] a mistake: he never had a place to live, he was always staying with people, but he’d fill their fridges with food. Brian: ...everything crashes, and everyone loses their minds. It doesn’t matter to us, because we don’t have any money!" Quite. Thinking of odd coincidences, I’d been watching Wall Street only a few days before, largely out of a sense of indignation (and for some schadenfreude), and the soundtrack was My Life in the Bush with Ghosts – the very same record I’d been listening to, in the lead-up this interview. It seems interesting that there’s a dialectical relationship between the prevalence of cultural hybridity in music, and globalization as an economic phenomenon. Economic (and imperial) expansion enable greater awareness of musical forms, and these become emblematic of refusal of the values driving that expansion. There’s a rational explanation, but it’s complex enough to feel like magic. So, what of Gang Gang Dance as a live band, and what of the record? On first listen, St Dymphna is immediately engaging, albeit that the tracks sounds shuffled, like a home-made mix-tape, and the arrangements are spacious – they haven’t gone for sensory overload, so as to develop their sound, but refined the details. On second listen, on headphones, walking through Camden, I almost leap out of my skin, as several minutes elapse between weird new sounds springing from different directions. By the third listen, cut together with God’s Money, it’s clear that most of the tracks are just as strong, and yet the experience keeps changing. On the night of the gig, I’m exhausted, standing at the bar with a camera, bag full of books, and way-too-hot jacket; as the band ease in slowly, finding their groove, I don’t expect to be grabbed. Within five minutes, the music’s everything. I mean, everything in my sensorium, and everything music can evoke. Swarms of pyramids and polyhedra swooping back and forth, 1000-foot waterfalls of colour – the whole psychedelic enchilada. It’s sensual, seductive, and – a rare feat this – it’s as danceable as it’s listenable.